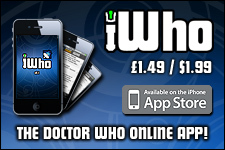 Welcome to the Interviews area of the Features section here at Doctor Who Online! This is where you will find interviews with personalities connected to Doctor Who, conducted by DWO and its contributors. In late 2013, DWO caught up with Doctor Who Actor, Tom Baker, to discuss his recent role in the 50th Anniversary Special; 'The Day Of The Doctor', Christmas and his future plans. Doctor Who Online interviews acclaimed Author and much-loved Doctor Who Writer, Neil Gaiman, regarding his latest book, The Sandman Sequel, being a Doctor Who fan and future scripts. Doctor Who Online interviews Doctor Who Actor, Warwick Davis, regarding his role as 'Porridge' in 'Nightmare In Silver', his career as an actor, as well as the upcoming Star Wars movies. Doctor Who Online interviews Doctor Who Actor, Calvin Dean, regarding his role as 'Ha-Ha' in 'Nightmare In Silver', as well as his career as an actor. Doctor Who Online interviews Classic Series Doctor Who Writer, Robert Banks Stewart, regarding his Classic Series stories, his thoughts on the New Series and his brand new book. Doctor Who Online interviews Actress, Katy Manning, who played Jo Grant - companion to The Third Doctor in The Classic Series of Doctor Who. Doctor Who Online interviews Doctor Who Magazine Editor, Tom Spilsbury about working on the magazine, what's in store, and his life as a Doctor Who fan. 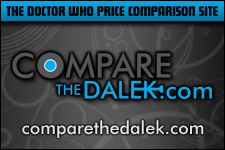 Doctor Who Online interviews Character Options Brand Manager, Mark Hunt, regarding the 2013 Doctor Who toy range, and what we can look forward to. Doctor Who Online interviews Doctor Who DVD Documentary Director, Chris Chapman regarding his career so far, including his work on the DVD range. 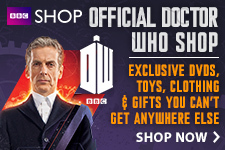 Doctor Who Online interviews Philip Lawrence, regarding his Big Finish adventure Question Marks as well as his Action Figure Theatre website. Doctor Who Online interviews The 4th Doctor himself, Tom Baker, regarding Big Finish, Christmas and what lies in store for 2012. Doctor Who Online interviews Doctor Who Restoration Team member, Paul Vanezis, regarding the recent missing episodes discovery and recovery. Doctor Who Online interviews 2|entertain, Classic Doctor Who Commissioning Editor, Dan Hall, about the 2011 releases and beyond for the Doctor Who DVD range. Doctor Who Online interviews Simon Fisher-Becker who plays Dorium Maldovar in Series Five and Six of Doctor Who. Simon discusses his character, his Doctor Who memories, fandom and uniting the universe. Doctor Who Online interviews Frances Barber who plays Madame Kovarian in Series Six of Doctor Who. Frances discusses her character, her love for Doctor Who and saving President Kennedy. Doctor Who Online interviews New Series Doctor Who Director, Julian Simpson, on directing his first Doctor Who two-parter, 6.5: The Rebel Flesh & 6.6: The Almost People. Doctor Who Online interviews New Series Doctor Who Director, Richard Clark, on working with Neil Gaiman and directing his latest episode, 6.4: The Doctor's Wife. Doctor Who Online interviews YouTube video blog sensation and newly-appointed Doctor Who Confidential Reporter, Charlie McDonnell, regarding his latest projects, future prospects and his love for Doctor Who. Doctor Who Online interviews 2|entertain, Classic Doctor Who Commissioning Editor, Dan Hall, about the 2010 releases and beyond for the Doctor Who DVD range. Doctor Who Online interviews Doctor Who Actoress, Georgia Moffett, regarding Dreamland, Doctor Who Fandom, Christmas and... Lionel Richie! Doctor Who Online interviews the 4th Doctor himself, Tom Baker, regarding his return to the role of The Doctor in the brand new Doctor Who: Hornets' Nest audio series. Doctor Who Online interviews Paul Magrs, Writer of the new Doctor Who: Hornets' Nest range of Audiobooks featuring Tom Baker's return as The Doctor. Doctor Who Online interviews John Barrowman's Sister; Carole E. Barrowman, regarding her work on the new Comic Strip for Torchwood Magazine; 'Captain Jack and the Selkie'. Doctor Who Online interviews 2|entertain, Classic Doctor Who Commissioning Editor, Dan Hall, about the 2009 releases and beyond for the Doctor Who DVD range. Doctor Who Online interviews Weta's Workshop Artist; Dave Tremont, to answer 10 Questions relating to the new Doctor Who Weta range, and his life as a fan. One of Peter's dream jobs was to land a role in Doctor Who. After writing a letter to Russell T. Davies, his dream came true. Ian Savage interviews Peter Kay. DWO interviews Ex-DVD range com. editor, Dan Hall. DWO interviews The 4th Doctor, Tom Baker. DWO interviews the acclaimed author / writer. DWO interviews this New Series Doctor Who Actor. DWO interviews this Classic Series Doctor Who Writer. DWO interviews Jo Grant Actress, Katy Manning. DWO interviews DWM Editor, Tom Spilsbury. DWO interviews Character Options' Mark Hunt. DWO interviews DVD Director, Chris Chapman. DWO interviews Writer & Webmaster, Phil Lawrence. DWO interviews Restoration Team's, Paul Vanezis. DWO interviews 2|Entertain's Dan Hall. DWO interviews New Series Actor, Simon Fisher-Becker. DWO interviews New Series Actress, Frances Barber. DWO interviews New Series Director, Julian Simpson. DWO interviews New Series Director, Richard Clark.